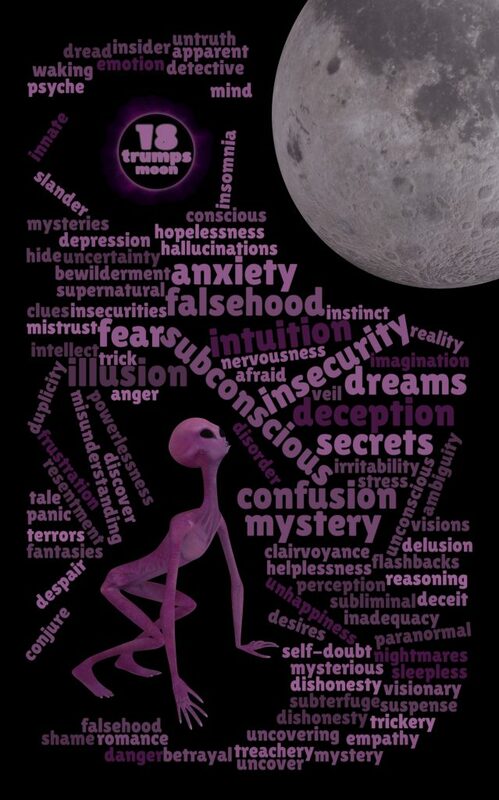 What would our super-evolved alien do as he approaches the spiritual heights of the subliminal clairvoyant confusin deceptive disorderly moon? Why get down on all fours and howl at it of course. What else can you do? The clues to the conscious emotions in this card are written on the front in plain text for all to read.